To zero-in on a female role model, I looked back at my college years when I encountered Dr. Carol Inberg, who became my favorite Professor. Carol Inberg was truly a pioneer. 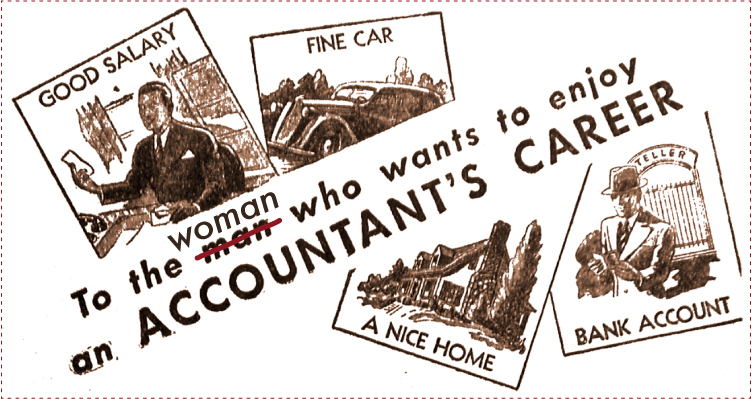 Back in the 1940s, she was one of few women to take on a career as a Certified Public Accountant. Then, she completed her Ph.D. in Business Administration at UC-Berkeley and became an accounting professor at Cal-State Hayward (now Cal-State University, East Bay) in the mid-60’s. Over the years, she taught practically every accounting course offered, and she Chaired the Department of Accounting in the early 80’s. Dr. Inberg was an outstanding professor and, in her longtime career as an educator, she made a significant impact on the lives of her students. She had the reputation for being very tough (‘one tough cookie’). However, her strict no-nonsense approach was tempered with deep sincerity and caring, along with a true-love of Accounting. Under the wing of Dr. Inberg, I won several accounting scholarships and awards and the opportunity to become an intern with the IRS. This was still a time when just a handful of women were in the Accounting program, but because a key Professor was a woman, it wasn’t daunting for me to take my seat in an all-male classroom. She prepared me to withstand a variety of situations of being the ‘only female’, and to thrive in that environment. She kept in touch with me after graduation, and she cheered me on throughout my career as a CPA. Dr. Inberg died peacefully in 2009 at the age of 87. I owe her a huge debt of gratitude, and I’d like this tribute to represent a belated Thank You to Dr. Inberg, for making me a success.